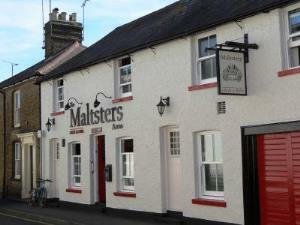 Maltsters Arms01621 853880work Public HouseThe Maltsters is run by Kathy and Steve and offers a great friendly atmosphere and a good pint of beer. There is a small patio area at the back which is secluded and is partly sheltered. The beers sold here are Greene King IPA, Greene King Abbot, regular changing Guest Ale, Carlsberg, Stella, San Miguel and Guinness.